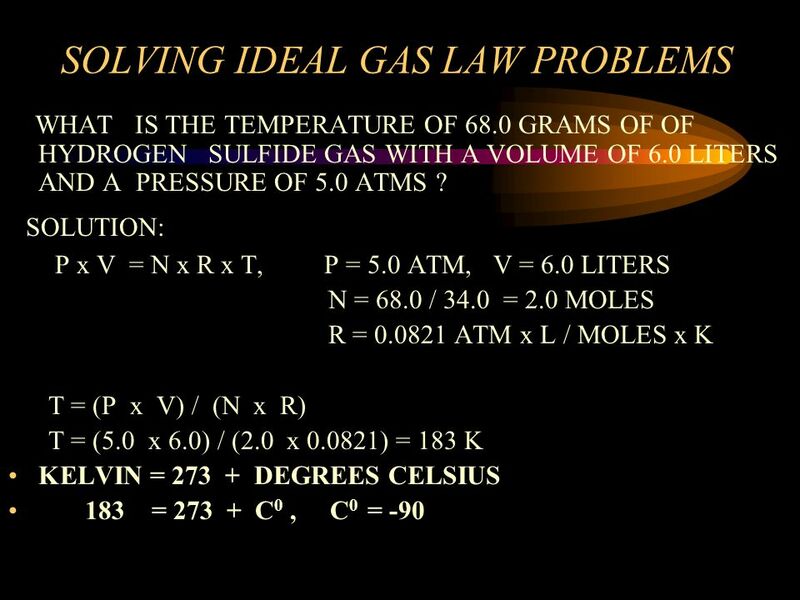 Solving Gas Law Problems Copyright Sautter 2003. 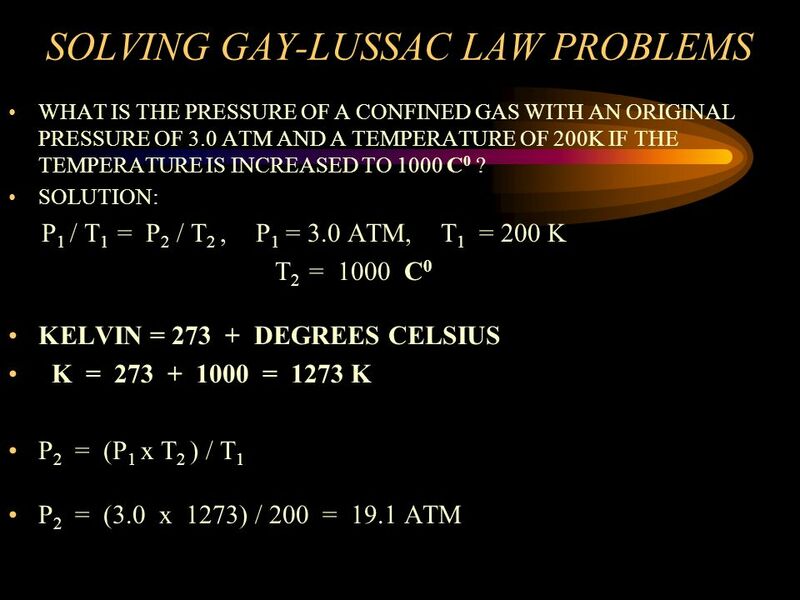 V1 / T1 = V2 / T2 GAY-LUSSAC’S LAW: P1 / T1 = P2 / T2 KELVIN = DEGREES CELSIUS COMBINED GAS LAW (P1 x V1 ) / T1 = (P2 x V2 ) / T2 DALTON’S LAW P TOTAL = PGAS A P GAS B P GAS C + P ……. 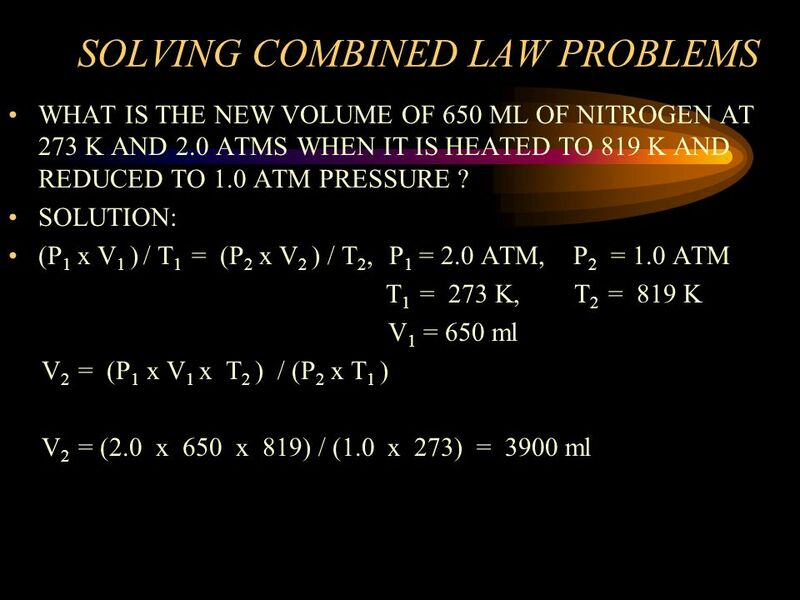 WHAT IS THE VOLUME OF 500 ML OF NEON GAS AT 2.0 ATMS OF PRESSURE WHEN ITS PRESSURE IS CHANGED TO 2090 MM OF HG ? 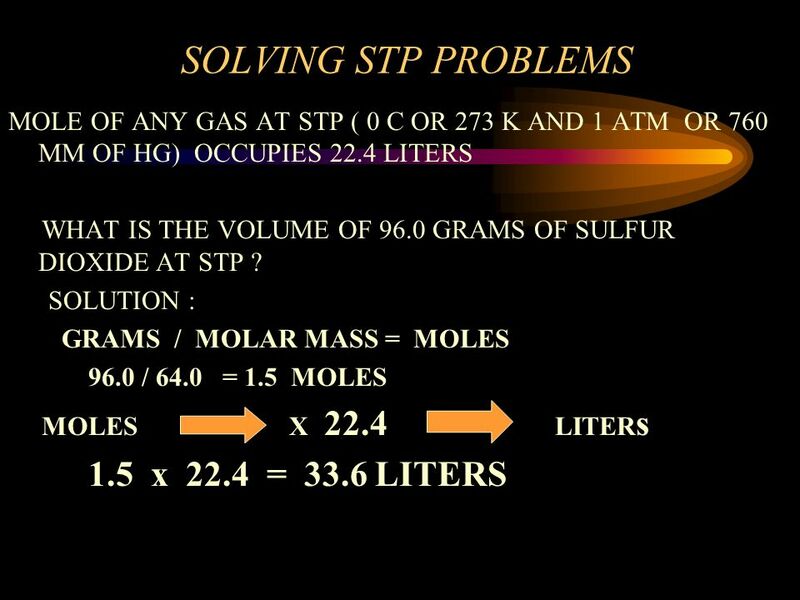 SOLUTION: P1 x V1 = P2 x V2 , P1 = 2.0 ATM V1 = 500 ML, P2 = MM / 760 = 2.75 ATM V2 = ( P1 x V1) / P2 V2 = (2.0 x 500) / = 364 ML NOTE: BOYLE’S LAW IS INVERSE, AS PRESSURE INCREASES, VOLUME DECREASES. 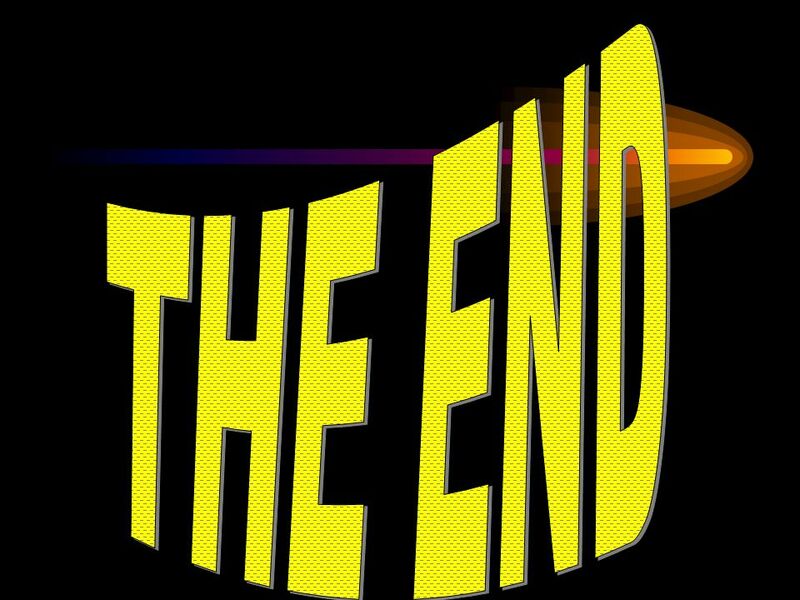 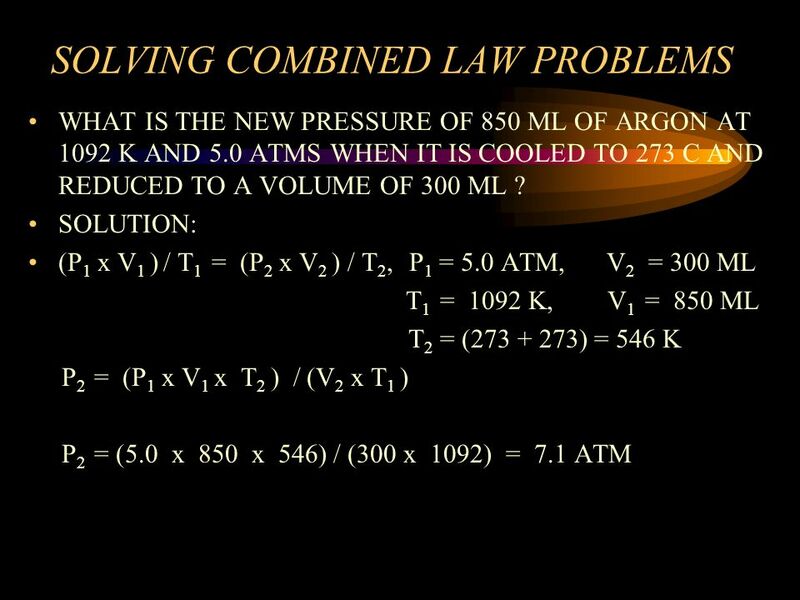 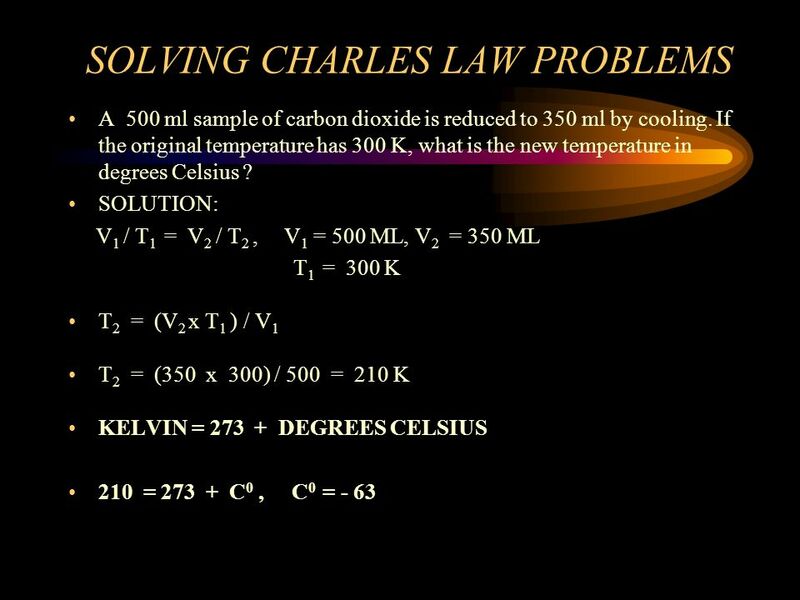 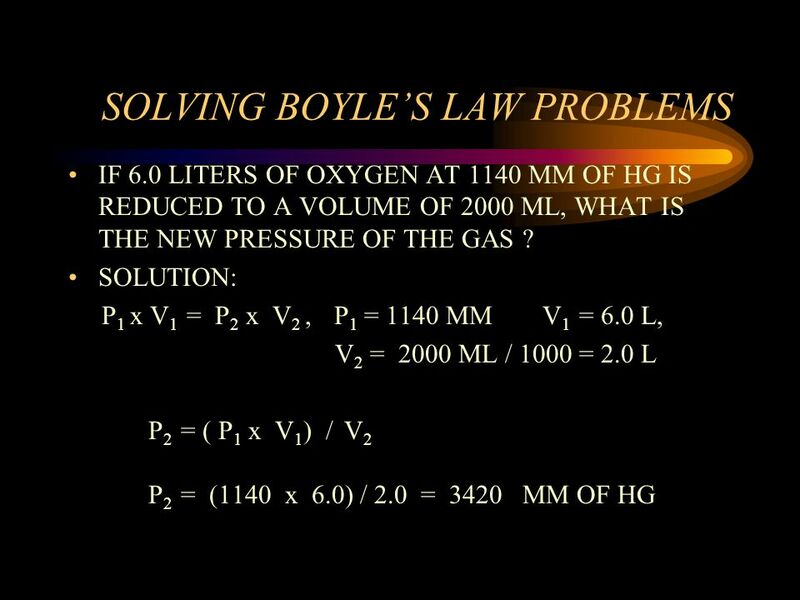 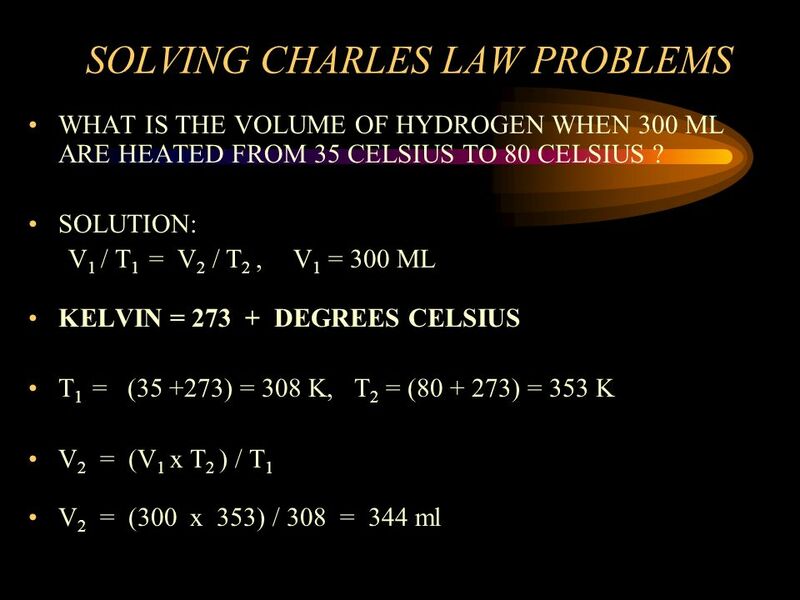 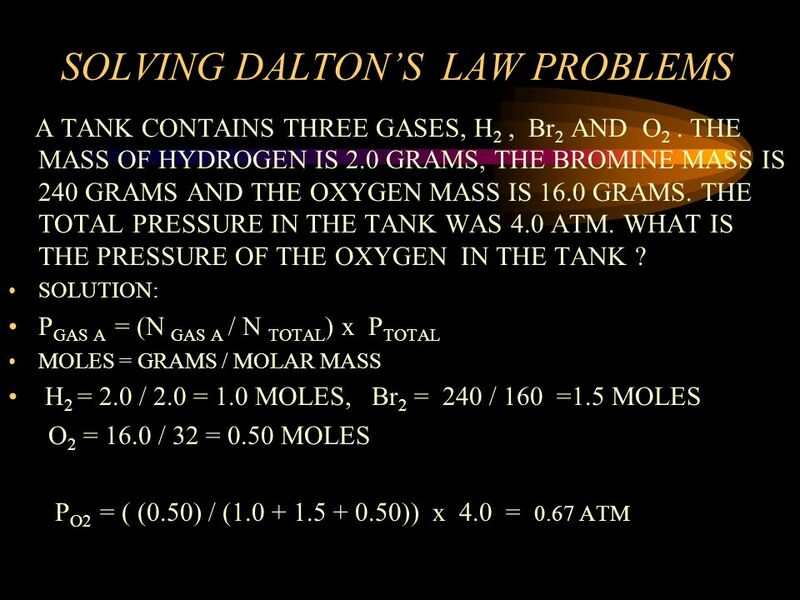 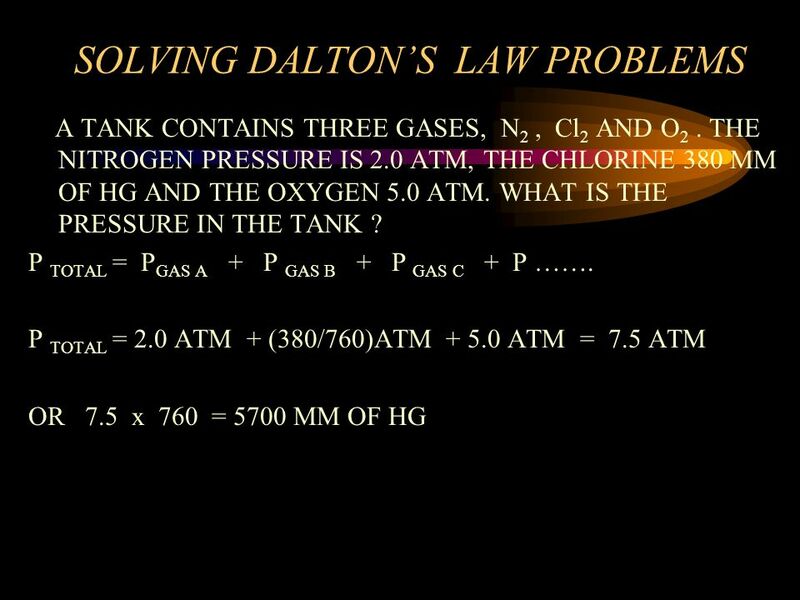 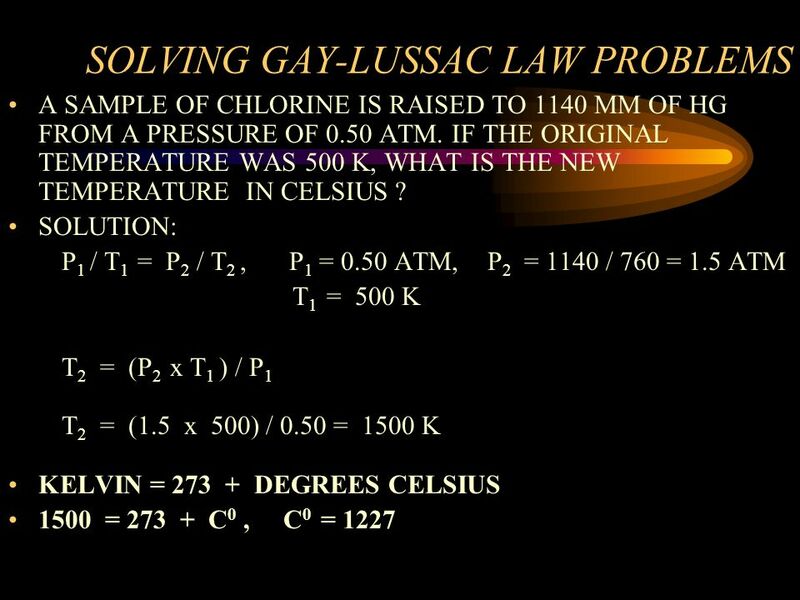 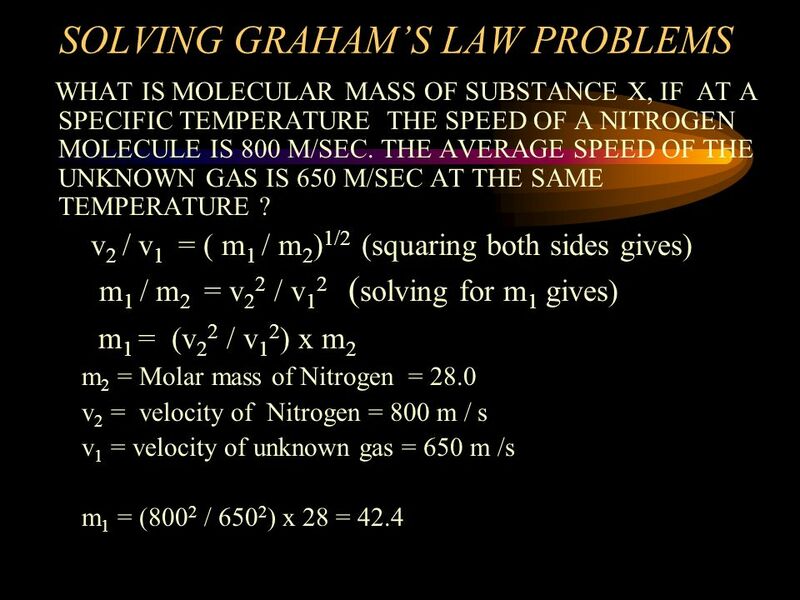 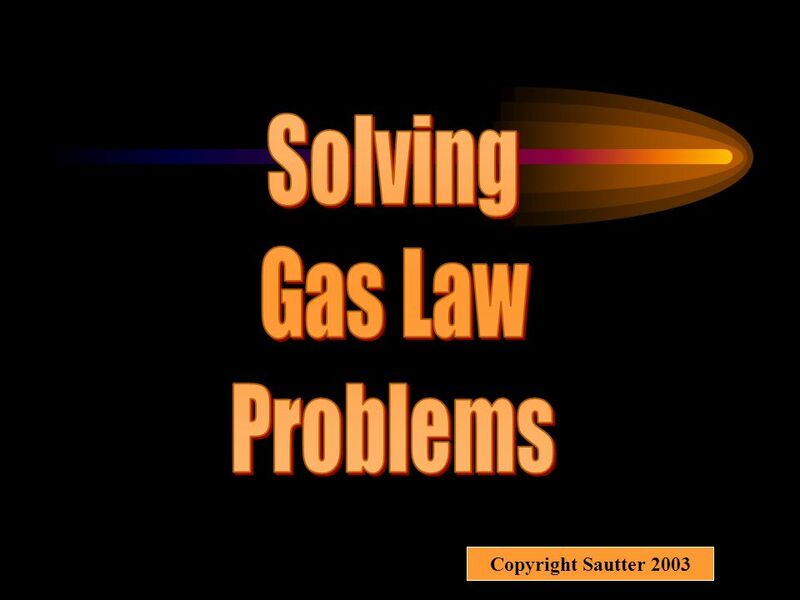 Download ppt "Solving Gas Law Problems Copyright Sautter 2003." 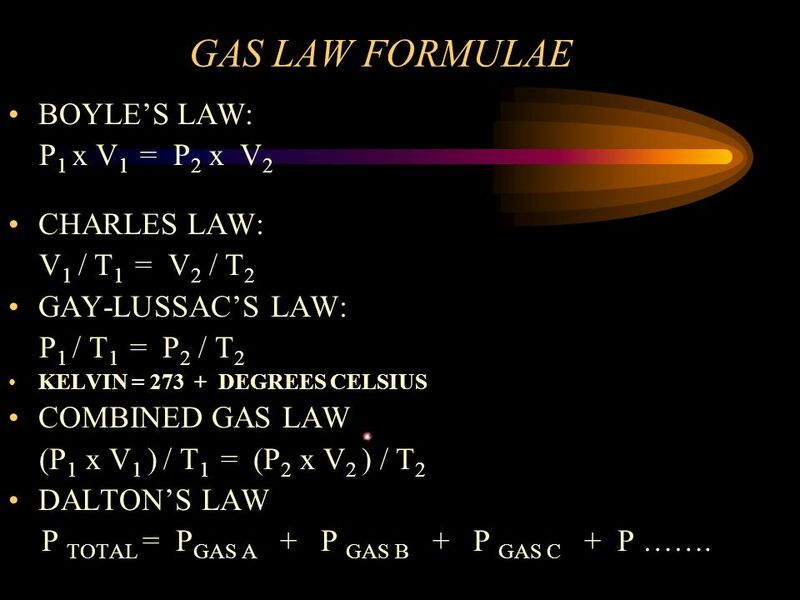 Copyright Sautter 2003 GASES & THEIR PROPERTIES THE GAS LAWS. 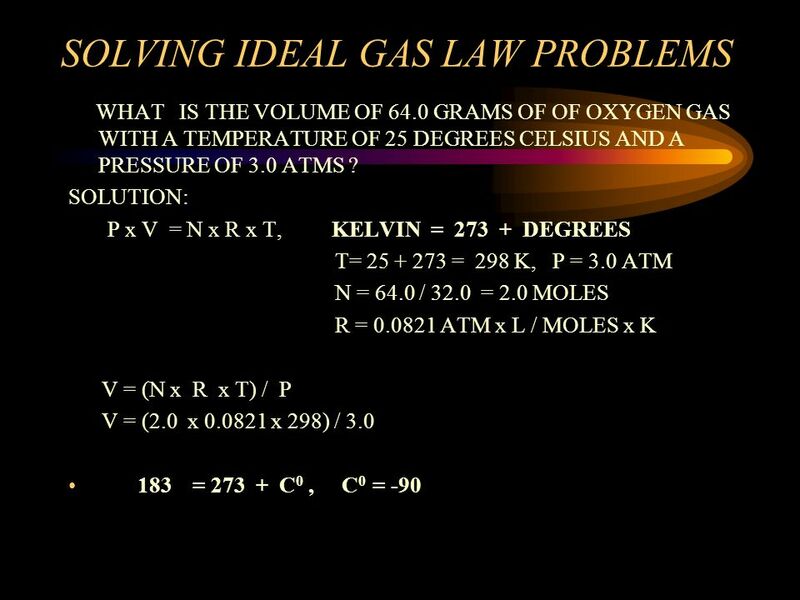 Gases Objective I will know the properties of gasses and be able to calculate the quantifiable properties of gasses Success Criteria I will be able to. 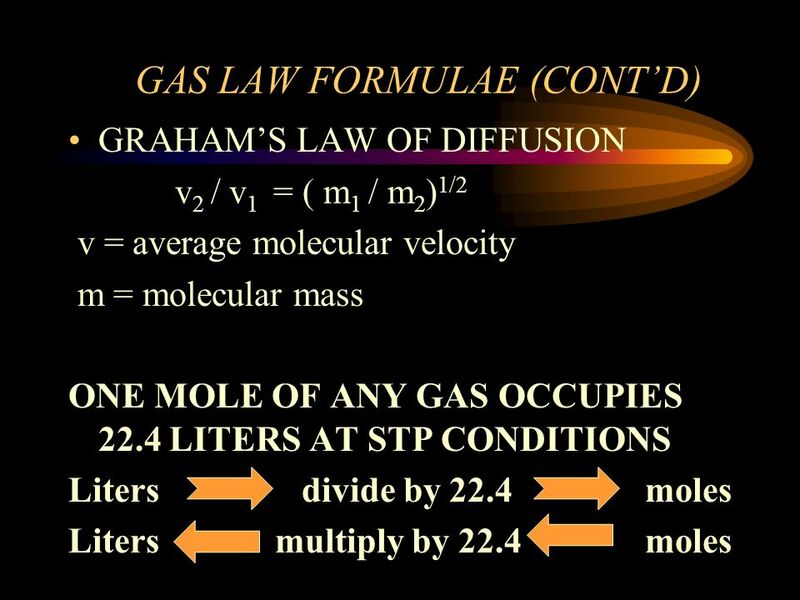 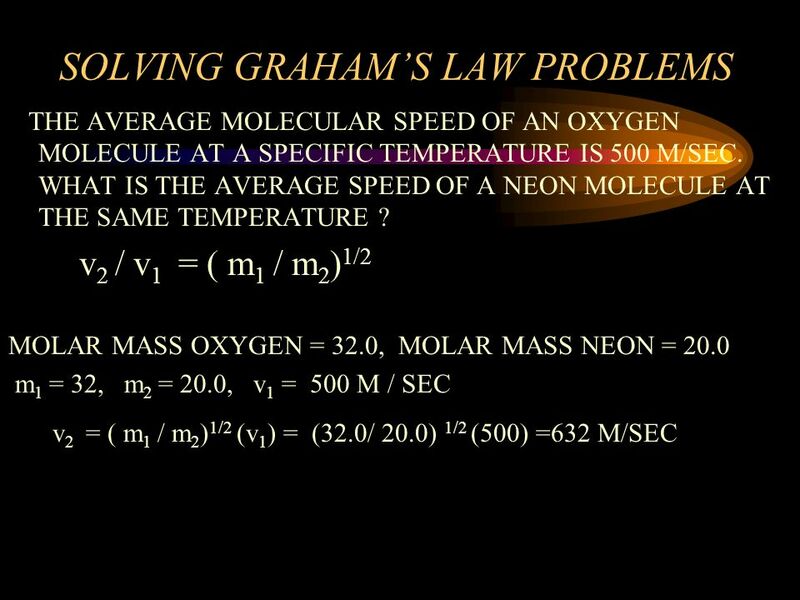 The Gas Laws Chemistry Dr. May Gaseous Matter Indefinite volume and no fixed shape Indefinite volume and no fixed shape Particles move independently. 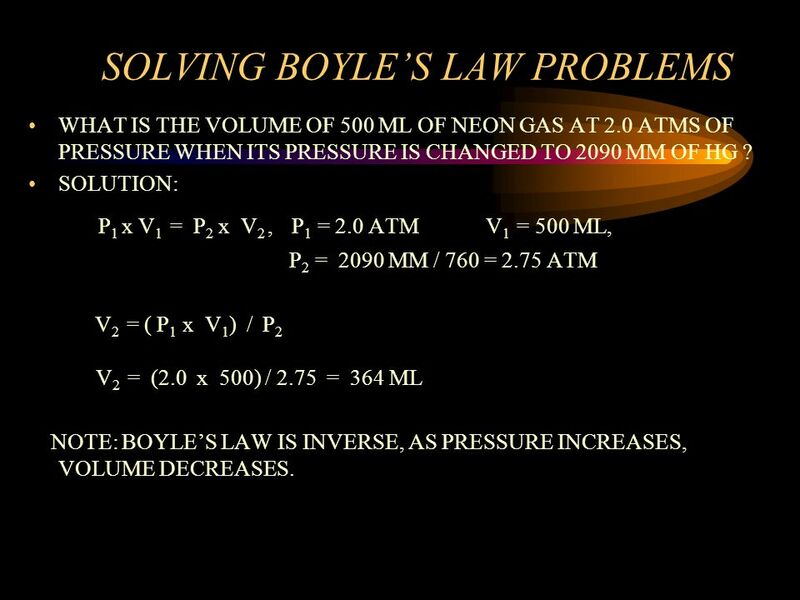 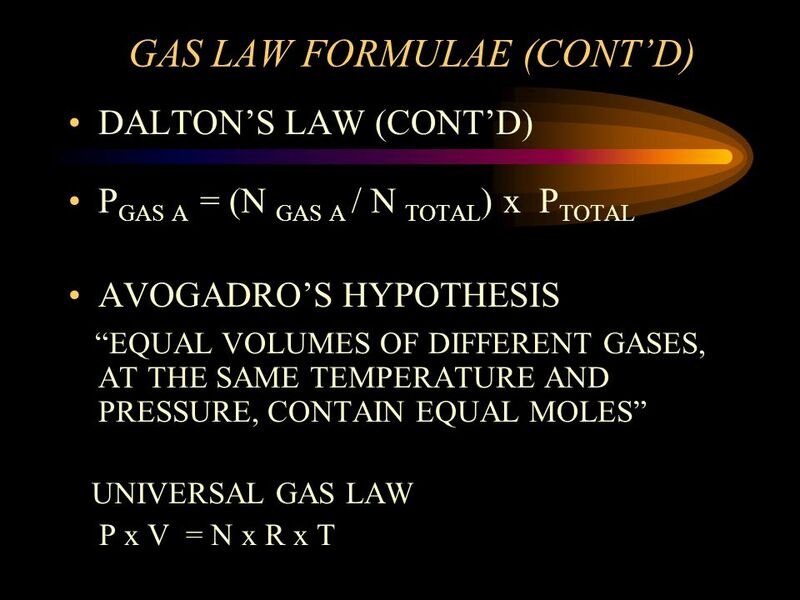 The Empirical Gas Laws Boyles Law: The volume of a sample of gas at a given temperature varies inversely with the applied pressure. 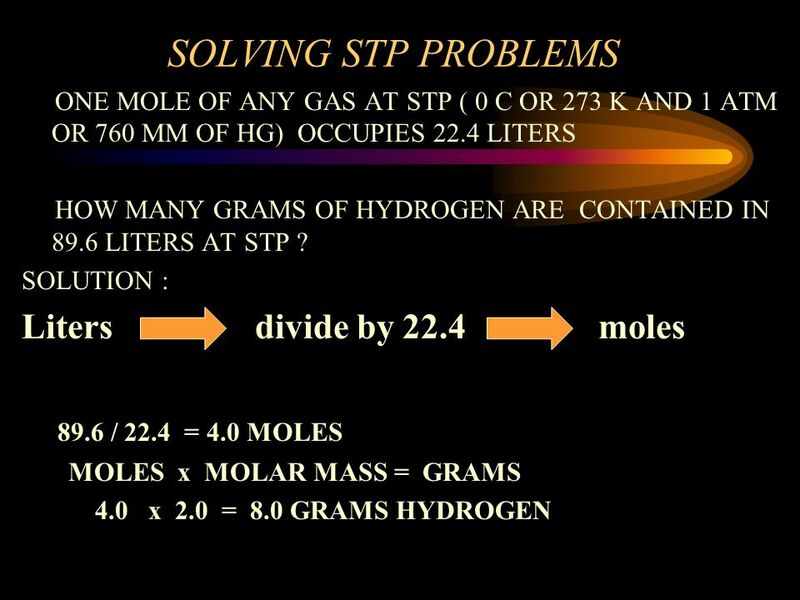 (Figure 5.5)(Figure. 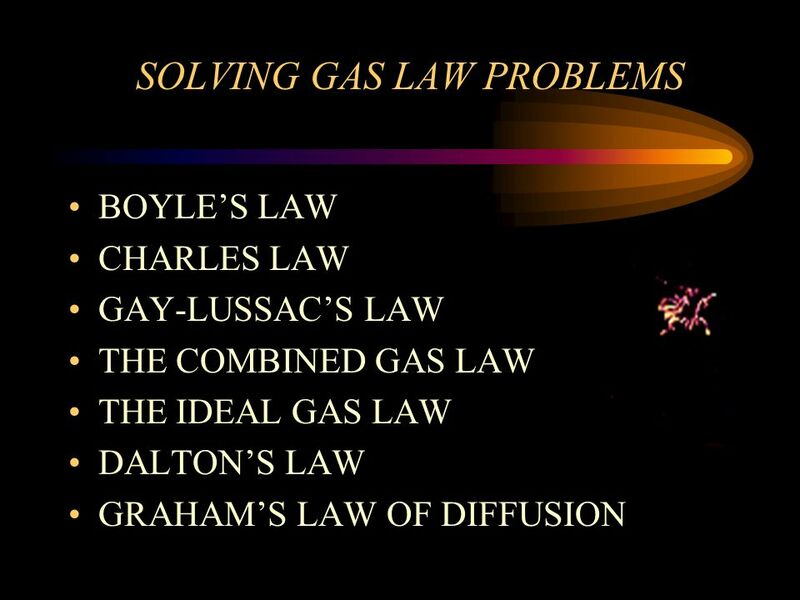 The Gas Laws Chapter 14.